The WordPress Media Library has come along way since I start using WordPress back at version 2.6. Internet connections are faster too (is anyone still on dial-up?). Having faster computers and lightening speed internet means that we don’t have to use thumbnail images as much. You have probably seen this concept on sites like This is Colossal and others. I decided to use this WordPress single image gallery on my fine art site as is evident from the image to the left. To do this insert large uncropped images (meaning no thumbnails) directly on the page using WordPress’s built-in media library. The other option is to have the image open on the image attachment template should your theme have one. All Artbiz David themes have an image attachment template. Here’s some guidelines that will help format and make this type of WordPress single image gallery look and work the best. Because the images are going to be large it is imperative that they load fast. Optimize your images for the web! Make sure all the images are the same width. This blocks the images into a clean and simple column. Align the images with the “none” option so they stack nicely. If you add metadata to your jpegs using Photoshop the data will be extracted to fill in the image description only. You will want to copy and paste that into the image caption box so it shows under the image. A number of artists I threw this out to on my Facebook page are looking for alternatives to NextGen-Gallery plugin. I think there’s a way to use both as can be seen on the Face series at my fine art site. After writing the post “You Don’t Need a Home Page Per Sa”, which basically says that with WordPress, you can set any page to be the landing page of your site; I have been wondering why we need a specific page called HOME or WELCOME at all. By the way, more often than not, there isn’t any text on the “home” page, just an image (BIG Mistake). So why not send site visitors straight to the goods? It’s why they came to your site in the first place; to see your work. In this tutorial we’re going to do something completely different; we’re going to create a new kind of “home” Portfolio page and set it as our landing page. This technique has been implemented at Jan Boydol Photography. Go there to see it in action (opens in a new window). We are going to use the Media Library to upload and insert our images. We are bypassing the use of NextCellent’s album in for this new home page for two reasons…1. I want more control over the size of the image. NextCellent’s album thumbnail size is set in the plugin’s files which makes it difficult to change for the average user. And even if you could make it larger it would be distorted and you will need to go through the process of creating new thumbnails for all your galleries. 2. I want more control over the entire page’s formatting. Using the extended version of NextCellent’s album will provide text if you enter it into the gallery’s description but it shows the galleries stacked vertically. I want mine left aligned horizontally. 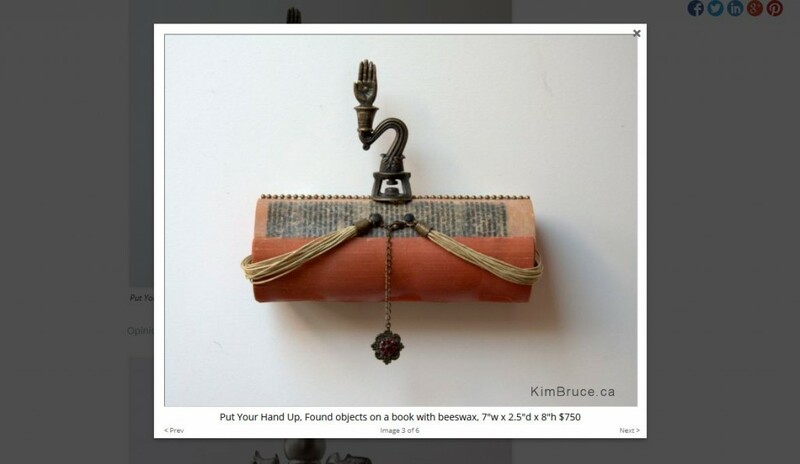 The goal here is to show a larger image to represent the gallery with text under the image, not to the side. Hence providing left aligned images with text underneath. 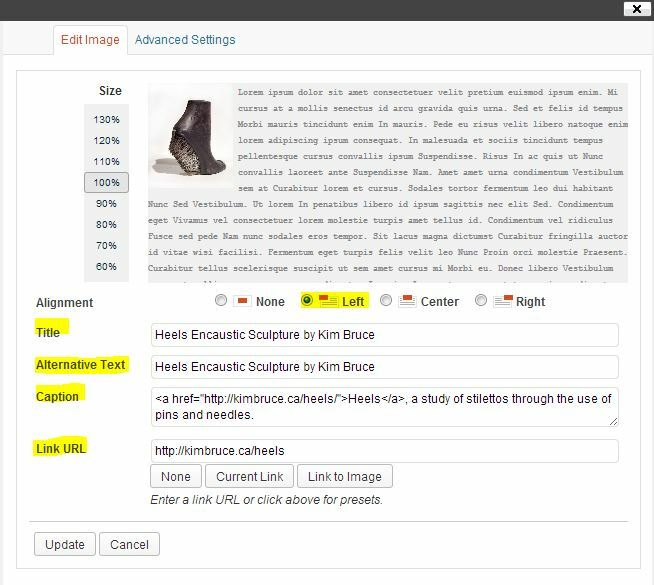 WordPress will create three sizes of images when you upload them. The default sizes are shown in the image below. Choosing Medium size will insert an image of the max height of 300 pixels while maintaining the aspect ratio and shows the entire image. Since showing the entire image is what I want to achieve, I’ll use the medium size image. If you’re happy with the media sizes there’s nothing you need to do here. 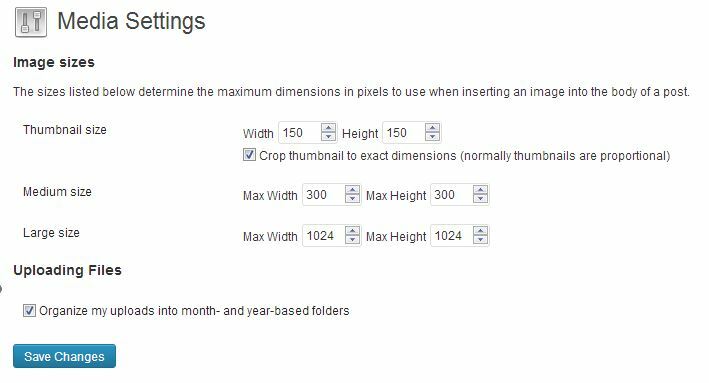 However should you change the sizes it is important to note that this will only size images to the new size on future uploads. Any images currently in your Media Library will remain as they are. 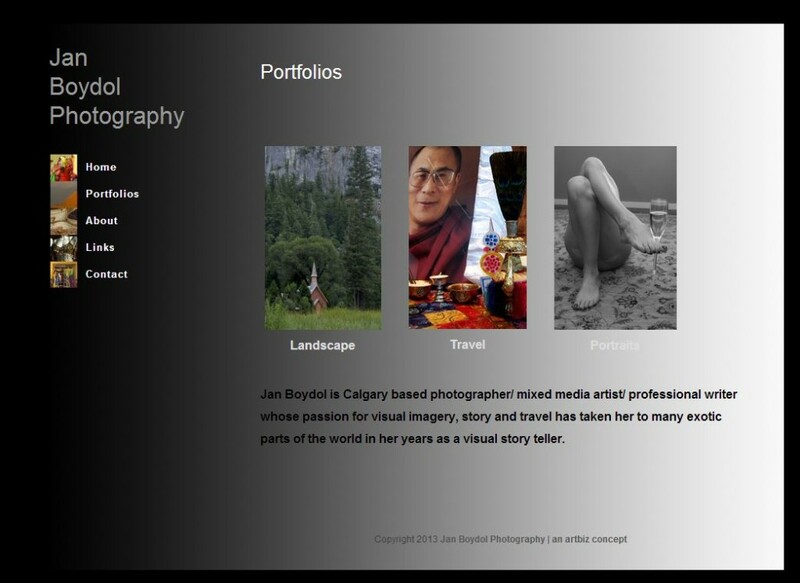 STEP 2 – Open your existing portfolio page in the editor. If you don’t have one, create one by going to Pages > Add New. If your existing portfolio page is named “Gallery” or “Galleries” change it so that people aren’t confusing it with your list of galleries that represents your work. Portfolio, Artwork or Images are good page names. STEP 3 – Insert one image to represent the work within each of your NextCellent Galleries. Upload your images on the page using the “Add Media” button. These images will now be stored in the Media Library, not NextGen gallery. There’s a tutorial on how to Upload a single image at the school. To keep all your images left aligned with text below is to use the image caption. Not using the image caption feature and inserting text below the image in the editor, will result in alignment challenges that can be over come by using a horizontal rule but it is not ideal and your images may end up stacking vertically. Image dialogue box – note the yellow highlighted areas, make sure to fill these in. Once you insert the image you can open it again for further editing by clicking on the landscape icon when clicking your mouse on the image. Here’s an opportunity to add a search engine friendly title and alternative text if you haven’t already done so. Fill in the caption with a short sentence and series / image gallery name. As seen on the example above I placed a hyperlink on the word “Heels”. This link is optional if you’re uncomfortable using HTML. Add the Link URL to the image gallery page. The easiest way to find the URL is to go to your live site and navigate to that page, then copy the URL from the browser address bar and paste it into the line as shown. By adding the Link URL the image will be clickable. Save your page and preview. Make any required changes. On my site I decided after inserting all my images at 300 pixels high that they were a bit to big for my liking. To change the image size all I did was open the image again in the page editor and reduced the size by percentage. By reducing them all by the same percentage I maintain a consistent height. Here’s another site that we just finished that uses the new kind of “home” portfolio page idea, but just on the portfolio page. Jan wanted a home page with her most popular image. When you click-through to any one of Jan’s portfolios you will be greeted with sub-portfolios set up the same way. STEP 4 – Set your new home portfolio page as the landing page of your site. Easy – go to Settings > Reading and select it from the drop down menu and save. If you want more precise instructions there’s a tutorial on that. I like my new Home / Portfolio page. What do you think? Questions and comments are welcome.